Robert Cavalli presented his fall/winter 2019 collection entitled “Royal Rebellion” for Triple RRR during the Paris fashion week men’s last week. For this season, Triple RRR portrays an exuberant soul with a flamboyant personality, striking look, as well as romantic sensibility. Creative director Robert Cavalli delivers a highly luxurious lineup, where traditional elegance and sophistication are reworked through a very personal, quite rebellious filter. 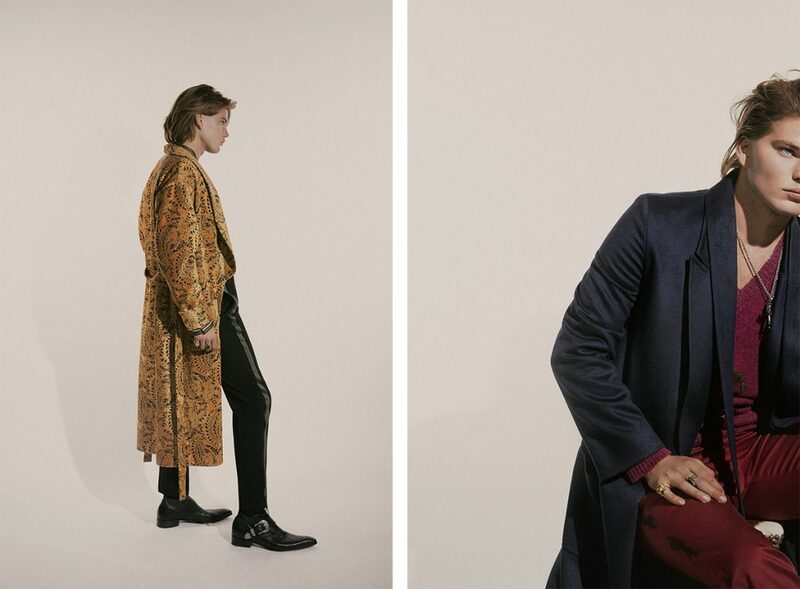 The designer’s unique creative vision, which is rooted in an opulent aesthetic heritage refreshed through a young yet highly sensitive and international eye, informs the collection, injected with a spontaneous, effortless chic attitude. The brand’s signature intriguing loungewear-inspired feel is exalted by the sumptuous patterns, which are inspired by Gustavé Doré’s illustrations of the Divine Comedy by Dante Alighieri. 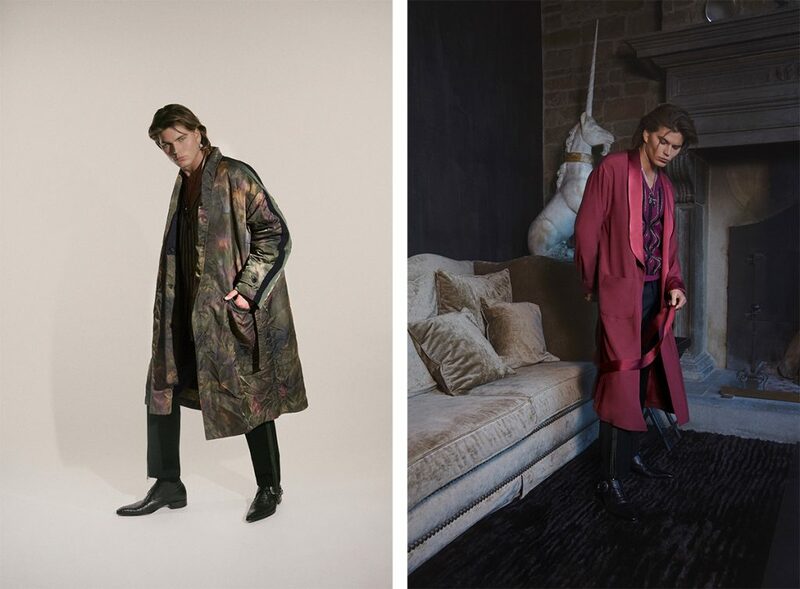 Iconic characters of the Hell and Purgatory, such as snakes and birds, are rendered on the rich, vibrant jacquards crafted from robe coats, as well as on the allover prints splashed on languid silk shirts. The same iconography returns in the precious embroideries of the outstanding knitwear offering, including crewneck and turtleneck sweaters, also peppered by intarsia reproducing the sensual silhouettes of a leopard or of more romantic and delicate roses, as well as embellished with tactile patchworks of different materials. A charming counterpart to the silk satin fluid robes showing distinctive rounded lapels, nylon with a technical hand is used for garment-dyed bombers and parkas revealing artsy color effects for an intriguing lived-in effect. Introducing an elevated sporty vibe, hoodies are peppered by Doré-inspired prints and show customized logo drawstrings printed with the “Children of the Renaissance” wording, which reflects the most authentic spirit of the lineup: a balance between classic beauty and a young, energetic and irreverent attitude.